Here it is ….. my first ever garment made from a real life vintage pattern. And it fits me! I chose this pattern (Advance 7701) for my first attempt as it appeared to be pretty straightforward to put together: a simple wrap top with one cunningly crafted main piece plus a small collar piece and a tie end. And because it’s a wrap top I didn’t think I'd have any tricky fitting issues. Well the good news is, that’s more or less how it turned out. Happily, the instructions were really clear and comprehensive – I was expecting them to be something along the lines of “cut out, fit, sew, finish” but they were much more accommodating to the novice sewer. Once I’d got my head round how the pieces fitted together it was very quick to sew together. I cheated used my initiative just the once. Because I used el-cheapo poly cotton, it was almost impossible to slip stitch the facing down without it showing through on the other side, there just weren’t any threads of fabric to be had. So I machined it in place and I don’t think it looks any worse for it. There were also a couple of tiny fitting issues. First, the cut is one where the sleeves are part of the pattern front and back pieces rather than separate sleeves you have to fit yourself (I’m sure there’s an official sewing word for this, would love to know what it is!). However, I think I have natural sloping shoulders (or bad posture as my husband pointed out, thanks love) and this tends to accentuate them. I found this with the Sencha blouse as well. I need to get into the habit of standing upright and thrusting my chest out as 50’s ladies were want to do (think Joan Harris nee Holloway) and it will probably look better. Second, my waist is definitely not a typical 50’s size. The top is supposed to cross at the front, go all the way round the back and tie at the front. Hmm, not quite long enough. Look how tiny the knot at the front is! I had to wear industrial strength foundation garments for this photo just because I was desperate to show it off (my first vintage pattern, yay!) and that’s the only way the tie was going to get round my waist. Of course if I tried to walk or breath or eat or do anything at all, the whole thing would explode, so I’ll retrospectively add a little length to the ties to make it more wearable. It’s also cut higher than current fashions, and as there’s more chance of hell freezing over than of me displaying my midriff, a black vest had to bridge the gap. 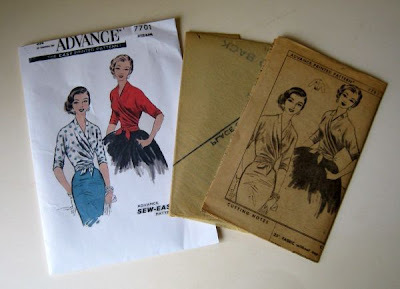 I’ll now need to add a high waisted skirt to my pattern list. 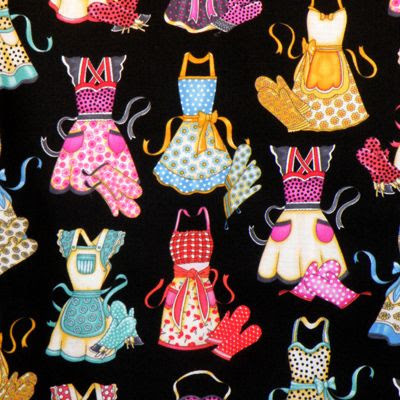 Remember this post and my triumph at finding the shoe print fabric? Well, here's the finished result. A cute little bag just large enough for a pair of your high heeled finest. I actually made this as a commission for a friend, but it's such a good idea I may have to steal it (I also have lots of left over shoe fabric looking hopefully at me). 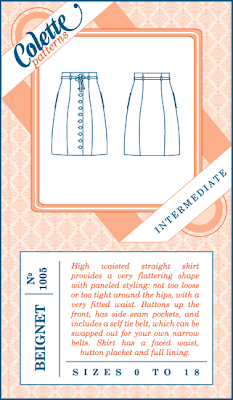 In other news, I've cut out my first vintage pattern (fanfare of trumpets). I recently made my first purchase from Beth at The Linen Cat. I’ve been a big fan of the Linen Cat blog for a while, but never bought anything for my boys as they would just wreck them. As special Christmas presents for my nieces however, they're perfect. I ordered a cashmere bear and a linen mouse which arrived beautifully wrapped in tissue paper with very stylish labels attached. They are both exquisitely handmade, with real attention to detail. Beth also uses a lot of tweed in her work which I really like. Which leads me on to the best bit - as there was a delay in processing the order because of a rubbish e-mail connection, she sent me this set of tweed trimmed spring birds. Talk about customer service! I’m thrilled with them, they’re going straight on my Christmas tree. Hoorah, at last I've finished my Beignet skirt from Collette Patterns and I'm SSOOO pleased with it. I made it in a navy cotton drill with red detailing. The pattern was great to work with and I whipped through it, until I got to the section that made me break out in a cold sweat - the twelve buttons and buttonholes. I know some sewers have certain sewing tasks they hate/can't do very well - well buttons and buttonholes are definitely mine. I took me almost the same amount of time to make the buttonholes and sew on the buttons than it did to sew the entire rest of the skirt. I just about managed to get them done without ruining the whole thing, apart from one rogue one that unfortunately looks like the Frankenstein's monster of buttonholes. This was thanks to a last minute slip of the hand with the seam ripper (and yes, it was the LAST buttonhole after 11 perfect ones, sob!) Once the skirt is buttoned up though, you don't even notice it, as my husband helpfully told me whilst I was mopping up my tears. 1) The instructions. As ever, lovely and clear and easy to follow. 2) The fit. I cut out my size and didn't have to make one adjustment, it fitted me like a glove. I know some bloggers have had problems with the fit, so I think my body shape and this style just happen to be a good match. I'm on the curvy side so maybe this helps? 3) The design. I love the way the skirt is put together, it's so clever. I particularly like the facings (which I'm so pleased I made in a contrast fabric, thanks Tilly for the idea!) and the lining which neatly covers over all the seams underneath. 4) The fact that the skill level is Intermediate! I'm feeling super pleased with myself about this one particularly! Here's one last look at the contrasting pockets. A friend asked me this week to make her a shoe bag for her friend for Christmas. The friend walks to work in trainers and she wanted a nice shoe bag to keep her shoes in – fab idea for a Christmas present! 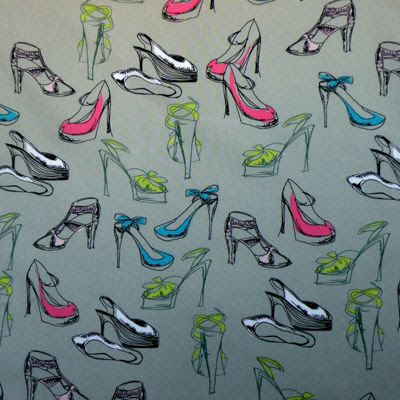 She specifically wanted a shoe print on the fabric which is surprisingly difficult to lay your hands on in the UK, unless you happen to be loaded, in which case you can treat yourself to some of the £26.95 a metre Manolo Blahnik designed shoe print fabric for Liberty. 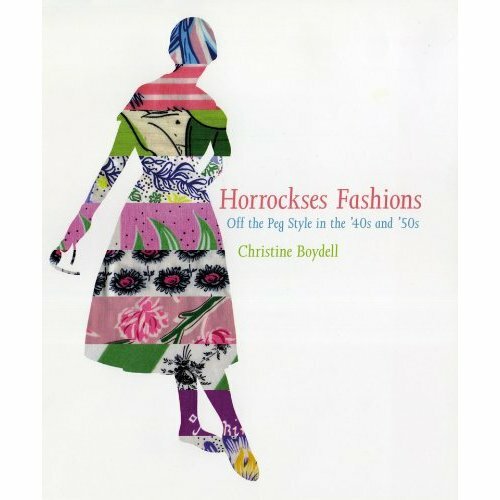 Another fellow sewer – Nathalie – very kindly sent me a link to these gorgeous Horrockses fabrics from the V & A.
She’d read on my blog that I’d bought the fabric for my Ladylike dress from the V & A and thought I might like them. Like them? I LOVE them, little did she know I have this book in my possession and flick through it all the time sighing at the prints. That’s one of the reasons why I’m really enjoying having a blog, meeting all the lovely like-minded people out there in the blogosphere. I’ve been in a crafty mood lately. Just today, I made these reversible shoppers to go on my craft stall. I used a pattern from Sew Hip magazine and I’m really pleased with how they’ve turned out. If they sell, I’ll be making more, it’s a great way of showing off two contrasting fabrics (I got all four beautiful fabrics from Saints and Pinners). I also made this beeootiful red felt rose brooch using Marie’s tutorial which came via the Crafty Christmas Club blog. I’m not usually a fan of any kind of hand stitching (too lazy) but it took me barely 20 minutes, making it the perfect ‘in front of the telly’project. I wore it on Monday and was on such a brooch-wearing roll I wore another one today. Talk about living on the edge..
I’ve been spending all my sewing time making stuff for xmas craft fairs recently and am starting to get withdrawal symptoms! 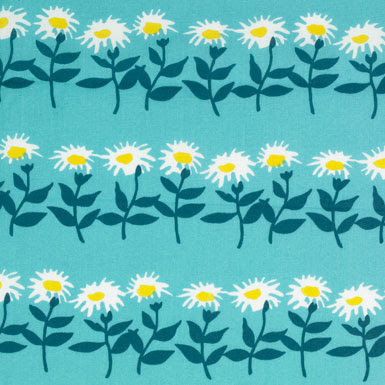 When I was making my niece’s xmas dress last week I realised I’d been really missing it – I want to do some dressmaking. There’s something about the whole ritual of cutting out a pattern, choosing fabric and making it up that’s far more satisfying than making endless purses and cushions (although I do enjoy that, just not for weeks on end). As a result, I’ve got a backlog of patterns crying out to be made into clothes. Top of the list is the Beignet skirt from my favourite pattern designer – Colette Patterns. Aren’t the red buttons fab? Hannah’s brief to me was “pink with flowers” and as she lives in Australia I sent her a couple of choices via the magic of e-mail. 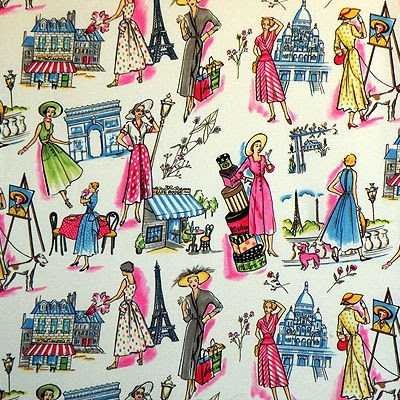 Happily she chose my favourite, which I found in one of the amazing fabric shops on the Goldhawk Road in Shepherd’s Bush. Clever girl, she’s got great taste, just like her Aunty! 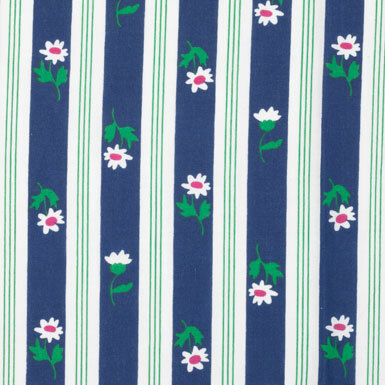 I love the fabric, it could almost be a Liberty print, whilst at the same time reminds me of my pillowcase when I was little. 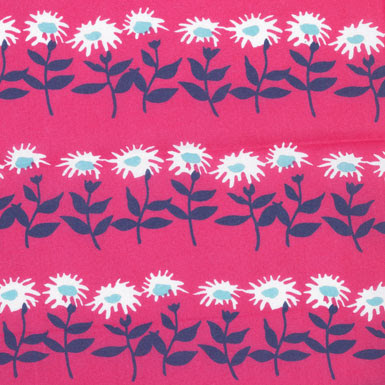 Once it was made into a dress though I think it was definitely more Liberty print than 70's pillowcase! I lined it in plain pale pink cotton. This was my first attempt at making children’s clothes from a pattern and the whole process was a pleasure from start to finish. I have two boys who wouldn’t be seen dead in any item of clothing I made them (unless it happened to have premiership footballers plastered all over it) so it was a real treat for me. I particularly liked cutting out the teeny tiny dress pieces, just like doll’s clothes! It was good practice for me too - there were a few techniques I used for the first time (inserting a dress lining and putting in a lapped zip) but it was all on such a small scale that it didn’t actually take that long. I can’t wait to see photos of her twirling around in it.